Intrepid clients are wide and varied, large and small, independent, national and world renown. Here are just a few who have put their trust in us to protect their profits, improve customer service and increase conversion rates. — Mark Frank, Head of LP, H&M. The first and best computor game, console and tech machine buy and sell, now breaking new ground in other high value retail areas. Iconic high end fashion department store. — Peter Heaton, Head of Security. 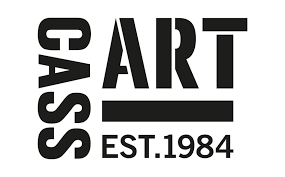 “As a growing UK retailer, Cass Art has been working with Intrepid Security for more than 4 years. Intrepid have supplied, installed and maintained CCTV, Tagging Systems and Footfall Counting Systems in our high street stores. Intrepid’s service levels are excellent. Their friendly cooperative approach to working hand in hand with their customers makes a very refreshing change from the often somewhat officious and off-hand attitudes one finds with much larger companies. — Sophie, Retail Operations Manager. Country wide shopfitting for premium retail. I was recommended to Intrepid Security by a client in 2015 and from the outset was very impressed with Paul and his team. On our new factory building they installed external cameras which back up onto a DVD player and also are accessible from an app on mobile phones. The cameras are excellent and work well at night as during the day. They have proved invaluable to UK Mats in monitoring our premises. We have also managed to assist the police with an armed robbery at a local shop, a burglary from an old peoples home and caught three others breaking into a house via our car park. We have added additional cameras over the years. We have called Intrepid in to tweak a few things and also repair kit we have damaged – the customer care has always been first class. I have been highly delighted with Intrepid over the last three years and am pleased to recommend them.